Sardegna, 150 miles (240km) off the west coast of mainland Italy, is the second-largest largest island in the Mediterranean Sea, only marginally smaller than Italy’s other island region, Sicily. The island, known as Sardegna to its Italian-speaking inhabitants, has belonged to various empires and kingdoms over the centuries. This is reflected in its placenames, architecture, languages and dialects, and its unique portfolio of wine grapes. Since the mid-18th Century, Sardinia has been one of Italy’s five autonomous regions but its separation from the mainland has led to a culture and identity somewhat removed from the Italian mainstream. This is reflected in the Sardinian relationship with wine. 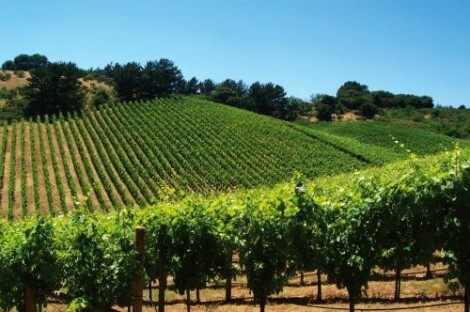 Wine is much less culturally and historically engrained there than in the mainland regions. The land the ancient Greeks named Enotria (‘the land of wine’) was very much the Italian south, and could not have applied to Sardinia, whose wine culture has developed on any scale only in the past few centuries. To the wine-trained eye, this cultural gap is visible in the grape varieties used in Sardinia’s wines. The portfolio of varieties planted in Sardinian vineyards bears little resemblance to those in any other Italian wine region. Instead one finds varieties of French and Spanish origin, exemplified by Grenache (called Cannonau here), Carignan (Carignano), Cabernet Sauvignon. The most ‘Italian’ varieties here are Malvasia and Vermentino, but even Vermentino can only just be considered Italian, being more widely planted on Corsica and southern France than in its homeland, Liguria. The Italian love of complex bureaucracy is clearly visible in Sardinia, which has more DOC and IGT titles than Calabria and Basilicata combined despite having the lowest wine production per hectare of any Italian wine region. Viticulture is a minority enterprise in Sardinia, but happily, in recent years, a handful of producers are creating high-quality wines, which are gradually gaining international recognition. Many of these are produced under Sardinia’s only DOCG title, Vermentino di Gallura. 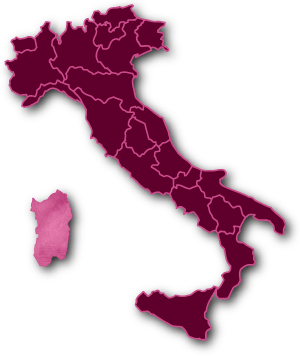 The majority of Sardinian vineyards lie on the western side of the island, which is also where its most location-specific DOCs are found, e.g. Carignano del Sulcis. The exception to this westerly bias is Vermentino di Gallura, whose catchment area covers the island’s north-eastern corner. Sardinia’s terroir is full of promise for the hopeful vigneron. The combination of hills and plains, coastal regions and inland areas offers useful diversity of topography and mesoclimates. To further these benefits, the available soils and bedrocks vary from granite, limestone and sandstone to mineral-rich clays and free-draining sands and gravels. Located between 38 and 41 degrees north, the island lies at the southern edge of European viniculture, but thanks to the cooling effects of the Mediterranean, the maritime climate here is more forgiving than in other regions at this latitude (e.g. Greece and Turkey). Whether or not Sardinian wine finds its way into the annals of the wine world depends on various factors: the ebb and flow of world wine markets, the efficacy of Italian wine bureaucracy and marketing, and the ever-changing tastes and interests of the modern wine consumer.